Great Z's: What Price Glory? Abby Sunderland, a 16 year old girl attempting to be the youngest solo sailor to circumnavigate the world, has lost radio contact in the Indian Ocean during a thunderstorm. According to her blog, she had been sailing into winds clocked at 40-45 knots with 20 foot waves and water was getting into the engine compartment. Her family is working with the American, French, and Australian search and rescue teams to try to relocate her. I pray everything will turn out okay for Abby and her family. But down inside I can't help but feel a sense of anger and rage at these people. 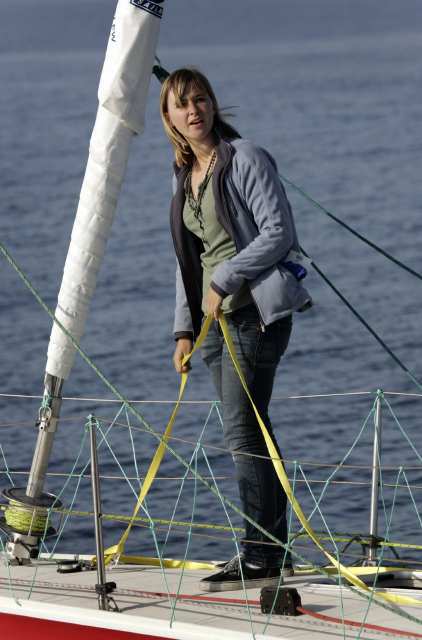 Seriously, SIXTEEN years old and she is allowed to sail solo around the world? She's not even old enough to give a medical consent. What were her parents thinking? On her blog, Abby says, "It has been my dream since I was 13 years old and began single-handing, to one day sail solo around the world." Yes, well most teenagers have grand dreams. Who hasn't dreamed of being the next Kobe Bryant, or the next president of the United States, or becoming a policeman, firefighter, doctor. Teenagers are indeed highly ambitious. That's why we have parents and teachers to help guide them. But the Sunderlands let their underaged girl sail solo around the world. If she hadn't been caught in a storm, she could have been kidnapped and abused by pirates near Somalia, or suffered an unforeseen medical condition incapacitating her, or a thousand other calamities. Just because her older brother Zac did the same trip doesn't mean she should do it too. I can just hear their dinner conversation before she left home. They may not have said it explicitly, but the fame of having two children each circumnavigate the globe solo was surely percolating in their minds. The book deals! The movie premieres! The trip to Oprah's couch! They may say they are assisting their children in achieving their dreams but as grown adults their number one job was to protect the well being of their children. This is almost as maddening as the death of Jessica Dubroff, the seven year old girl attempting to fly solo across the U.S. after just four months of flying experience. She ultimately crashed near Cheyenne, Wyoming with her father in the back seat. Let's hope Abby's fate meets a happier ending.